The Right Brain: Dang Engineers! I'm happy to support a good cause - and especially one that also involves fun and creativity. CANstruction is a charitable event where teams compete to make the most creative sculpture solely out of cans of food. After the competition, the food is donated to a local charity to help feed the hungry. On one occasion I served as a judge for a Las Vegas CANstruction event. Most recently, Wright Engineers' Phoenix office participated. 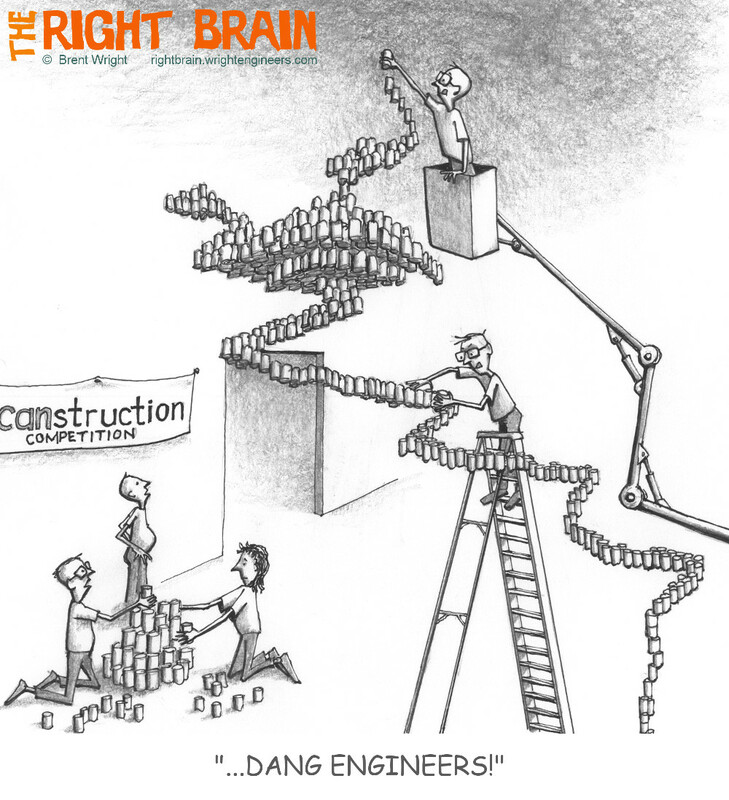 Though this cartoon depicts the engineers executing an outrageous design, most often it seems - and it was this way in Phoenix - it's the architects who come up with the creative design; the engineers mostly provide cans and labor.